See them on the SisterMAG feature. 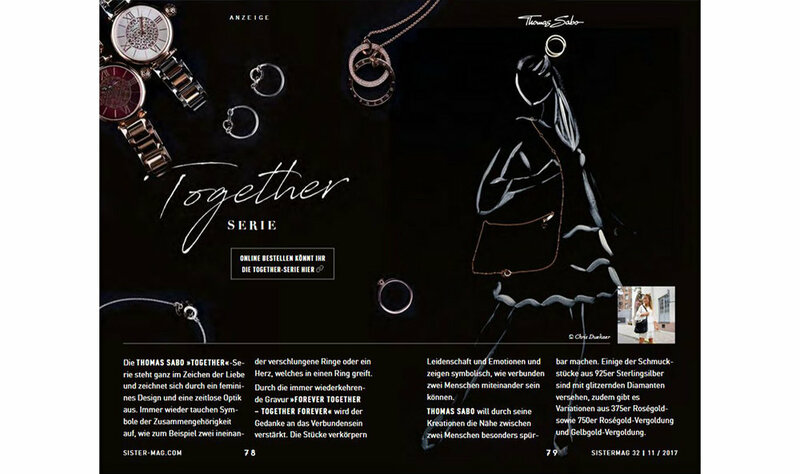 As Thea Neubauer from SisterMAG came to interview me last September, she proposed me to draw a very special kind of illustrations for an issue they were preparing featuring Thomas Sabo jewellery. 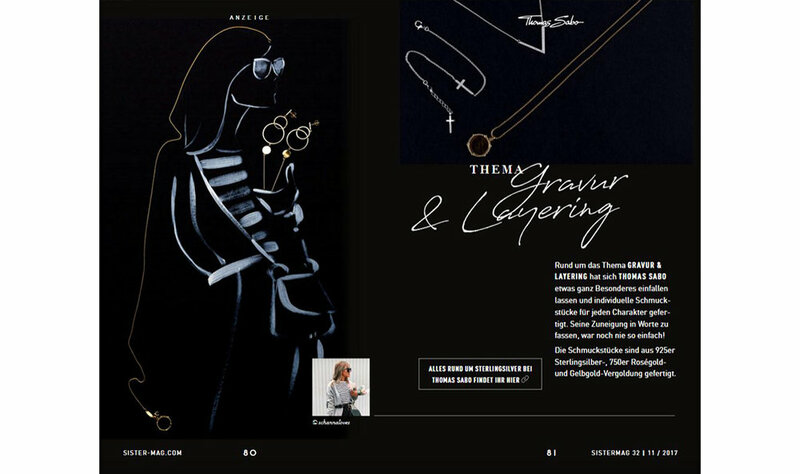 The drawings must be sketches depicting the bloggers Franellee, Schannaloves and Dani_Nanaa but the trick was that a part of the drawing line must be done by the actual jewellery pieces. Challenging but just for that reason very attractive project. So, I said yes. 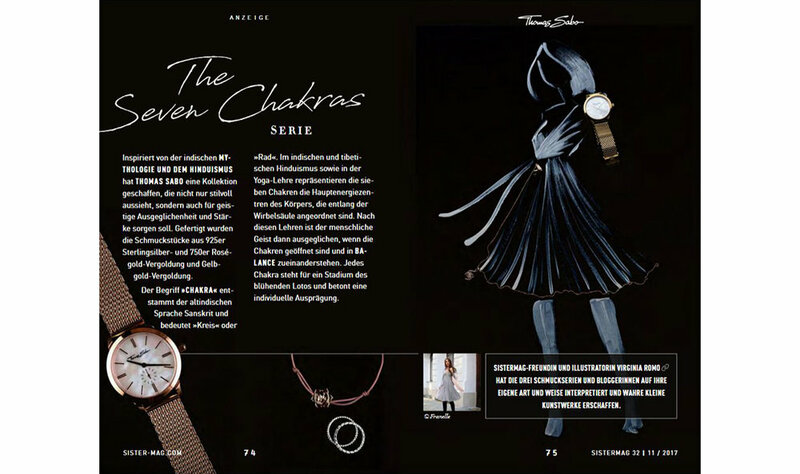 Short time after that I received beautiful packages from Thomas Sabo with little treasures inside: pieces from their collections "Seven Chakras", "Gravur & Layering" and "Together". 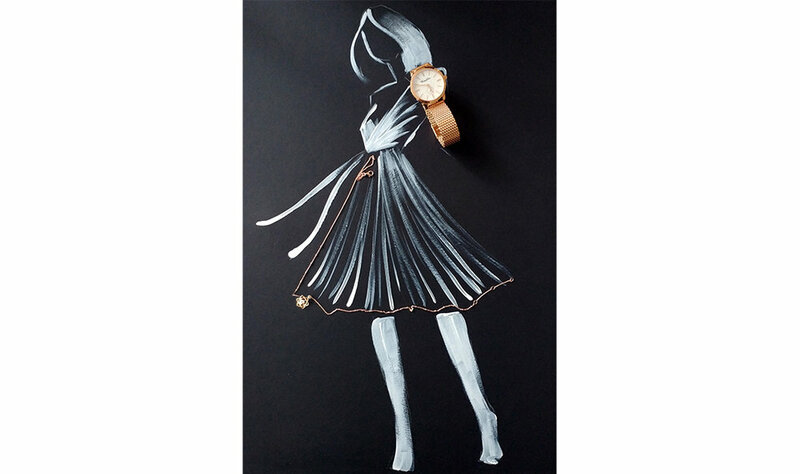 I took them and started playing with them at the same time as I was searching in the blogger's Instagram feed for poses in their photos that could work with the Thomas Sabo pieces. I drew everything and sent my drawings to SisterMAG so that they could be photographed (and the jewellery back to Thomas Sabo, of course). This is this kind of projects where you don't have a clue at the beginning of how the image is going to look at the end but then everything comes together quite quickly. It was very satisfying for me. You can see the results in the SisterMAG issue no. 32-1 (page 74 and onwards).